Special Collections & Archives is happy to announce a new exhibition in Fenwick Library’s lobby: Celebrating 95 Years of the League of Women Voters. Also coinciding with Women’s History month, this exhibition features items from the League of Women Voters of the Fairfax Area collection. The collection includes bulletins, pamphlets, meeting minutes, correspondence, photographs, and ephemera. More information about the collection is accessible via the finding aid. The League of Women Voters was founded in 1920 by Carrie Chapman Catt, a leader in the women’s suffragist movement. Maude Wood Park, another devoted suffragist, became the League’s first president. The League of Women Voters is a nonpartisan organization, which encourages citizens to participate actively in government by supporting the party of their choice. It does not support individual candidates, but it does take a position on issues of a local, state, and national scale selected by the membership. The League of Women Voters has taken a particular interest in equal opportunity for women in government, child labor laws, fair housing, and affordable health care. 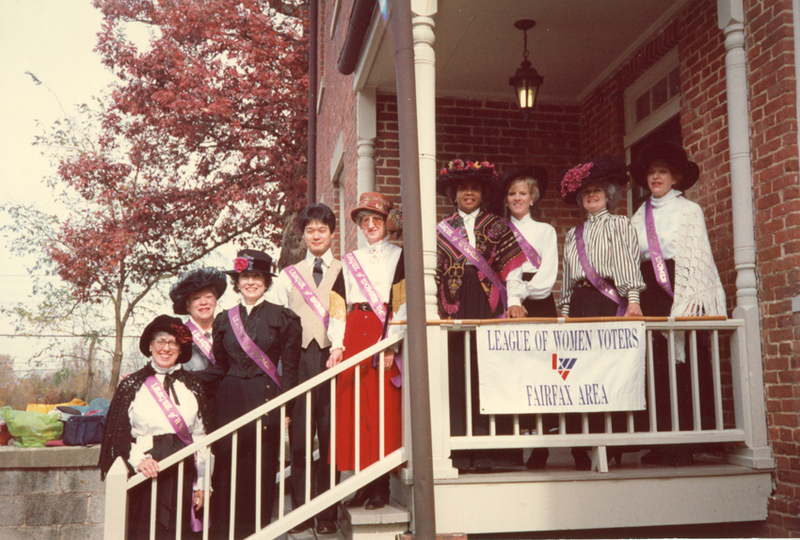 In Virginia, the League of Women Voters began as the Equal Suffrage League, which worked diligently for the ratification of the nineteenth amendment. The Equal Suffrage League joined the national League of Women Voters, creating a state league. The first local League in Virginia was established in Richmond, followed by chapters in Alexandria and Arlington. The Fairfax County League was granted full League status in 1948. To indicate that the members belong to more than one governmental jurisdiction, in 1964 the Fairfax County League became the League of Women Voters of the Fairfax Area. Please visit Fenwick Library to view the exhibit through the month of March.